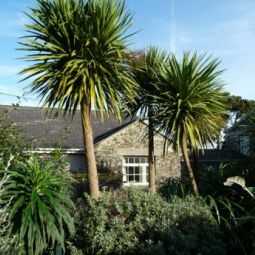 Step out of the hectic bustle of modern life and recharge your batteries in one of Island View’s four, two-bedroom holiday apartments, each of which combines the comforts of a modern home with the charm of a traditional Cornish coastal cottage. While each apartment has its own character, they all benefit from lots of natural light, warm wood flooring, modern amenities and fabulous views overlooking this beautiful Cornish fishing Cove. The first floor apartments also benefit from balconies overlooking the harbour, and two of the apartments have wood-burners. Please click on the link below to visit our website (www.mullioncove.ch) for full details of the accommodation and availability.